home / STARTicles / Have You Considered a Virtual CFO for Your Small Business? If you read my advice about being your business’ own CFO, then you might have already decided that you’re not the right person for the job. Sure, you’re a brilliant financial analyst, but two heads are often better than one to maintain a perspective that generates sound economic decisions for your company. 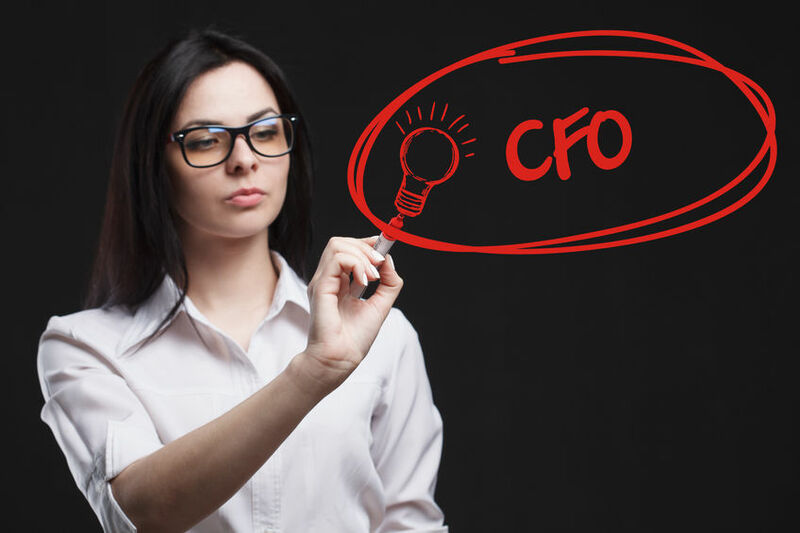 Unfortunately, the small companies that are most in need of financial advice cannot typically afford to bring in a full-time CFO. Good news: bringing in a virtual CFO (VCFO) might be a good way to reap some of the benefits without breaking the bank. The word, virtual already hints that these are remote services; you hire VCFOs on a contract basis, they do not reside at your workplace and you may seldom (if ever) meet them in person. . Aside from the obvious similarities between one provider and the next, their services vary in terms of their offerings — and, you typically can pick and choose the services that they perform based on your needs and budget. Payroll: They can set up everything related to paying employees and contractors, including the vital tasks that ensure that your business is running within IRS parameters. Budgeting: Their intimate knowledge of your numbers tells them what you do, what you need to do in the coming year and whether you have the necessary funds. A good VCFO should be able to work with you to help you handle your financial needs in a disciplined way. Advising on funding issues: Whether you’re in the early stages of seeking outside investor or debt financing or you need to create compelling documentation that attracts the money, VCFOs combine their knowledge of your numbers with their expertise to help obtain the funds that you need. Taxes: VCFOs keep track of the complex tax laws. They take care of current tax requirements, and they identify ways for you to consider tax impacts when making daily business decisions. Forecasting: When VCFOs read your business’ numbers, they don’t just see where the business has been. They read your numbers to help forecast where the business is going, much like reading a novel often helps you predict the last page. Perhaps most important, VCFOs provide essential advice based on their knowledge of your company’s financials. For example, you might believe that you need to buy the latest and greatest widget-maker right now to remain competitive in the industry. Your VCFO may advise you to just say no for now — or offer alternative solutions such as leasing the equipment until the business is on more solid financial footing. A word of warning: VCFO services are far from free. The price ranges vary widely, but you can probably expect to pay anywhere from $55 to $250 per hour, depending on many factors, such as the range of services that you need and the experience level of the provider. Still, you have many options to curb the costs at least to the point where the benefits support the cash outlay. When making this decision, keep in mind that a full-time, in-house CFO can be very pricey. In addition to a high salary, you have to pay for benefits and perks, along with office space and more. And, if it doesn’t work out, separation can be costly, as well. VCFO offerings are about as varied as the number of firms that provide these services. Some firms pair you up with a single person; others offer a team of individuals with a variety of specialties (perhaps headed by a single person who handles most coordination and communication). But, regardless of how they operate, you should look for a provider that encourages a strong relationship between you and each person who supports your interests. Most companies do not hire in-house CFOs without knowing how well the relationship will mesh. For example, a business owner who flourishes by taking risks will have trouble co-existing with a highly risk-averse CFO. Granted, the relationship may be meaningless when CEOs and CFOs agree on everything. But, you don’t want to spend every day locked in confrontation, either. Only you can make this important decision when choosing a VCFO. Take as much time as you need to discuss everything with prospective firms. A good two-way communication that answers all of your concerns during the interview process will help you choose wisely. One of the major challenges of starting a new business is facing the inevitable competition. More mature companies have any number of natural advantages when it comes to anything from solid financial footing to experience (not to mention their own in-house CFOs). Even if your products and services are better than those offered by the competition, you have to manage every dollar wisely. When you can’t blindly throw cash at your problems, a VCFO can help level the playing field so that your company can prevail in the race.